Bought one in Australia. Happy with the machine although setting the right coarseness for the grind took some time to get right. Am thinking of buying a VST basket for this machine. Should i go for Ridged or Ridgless 18g? Congrats on your purchase of the Oracle! trippleface, just to let you know the basket that comes with the Oracle has been tuned especially to work with the Auto grinder. Using another basket may cause you issues. Just to let you know that the baskets we use in all our Dual Boiler configured machines, BES900, BES920 & the Oracle are all made to a quality that approaches that of VSTs. Hole roundness & consistant positioning is extremely controlled during production. If you search the Dual Boiler owners thread you can see pics I posted there of our baskets compared to VSTs under a 200X microscope. Kat Brazier, our Coffee Specialist will be checking in on this thread regularly, so she'll be able to answer any queries you have. We received our machine last week. I really think it's quite a brilliant machine. After years of HX machines and SuperAuto's, I really think this one hits the best mix of good espresso with the right amount of control. Practically, I just didn't have time to grind the beans, pour the shot, and then cleanup before heading to work. The Oracle simplifies all of that without sacrificing quality. Breville customer service has been top-notch. CS Rep was emailing back and forth throughout the weekend even though they were officially closed. We received Intelligentsia beans with the machine, but even at the coarsest setting, we were only seeing 1.25 oz after 30 seconds. Breville CS walked us through how to adjust the grinder to allow a courser or finer grind beyond the initial settings. Very knowledgable and said it was a patented technology that was first employed on The Oracle. Funny thing is that I think I'm back to the original settings and the machine is now producing 2oz in 30 sec. Taste is just as good as our older HX machine. Call me a cynic, but its difficult not to be suspicious of a write up extolling the virtues of a newly released machine when the reviewer has only one post to his name and not so much as a how do you do in the way of introduction. There was positive feedback from people who sampled coffee from it at MICE but time will tell. Looks amazing. Great for home use without the studies! I made a coffee on an Oracle at The Rocks Aroma Festival in Sydney last July. It was great. Another bloke who sampled it claimed it was the best coffee he had ever tasted. I don’t know about that but it was very acceptable coffee and an easy to use machine. My BES900 is still working very well so I am not planning on upgrading just yet. I understand the cynicism. I usually just browse the reviews. Had to finally register to actually post something. I've been looking for reviews on the machine for a while and couldn't find any. Wanted to help fellow coffee lovers who were interested in learning more. Take the comments for what they're worth. I've had all sorts of different coffee machines: Saeco, Isomac, Breville, and others. From my experience, the superautos produce watered down coffee and tend to need replacement every couple of years. The HX machines are built like tanks, but take a long time to warm up and require exacting standards when it comes to grinding, pressing, etc. They also take more counter space and you have to deal with cleaning grinds that spilled all over. While it may not be for everyone, the reason I like The Oracle so far is because it produces a great cup of coffee-- same as the HX, without the hassle and clean-up. From the few comments I've seen, I think others see the same benefits. Received the Oracle 2 days ago (in USA), bought direct from Breville. I had shop-bought the Breville Barista Express but found it to be extremely hard to get good, consistent results. So ordered the Oracle, and returned the Barista Express to the store. So far, the coffee shots are both consistent and very good - there is no comparison to the Barista Express - the Oracle is in a different League. Am still playing around to optimize though. Seems like the difference between a double vs single shot is just the water amount - there is only one portafilter and no easy option for different grind amount- only can vary the fine-ness of the grind. Seems the machine has been fine-tuned for a single grind size with no easy menu option to change this. However, that's probability exactly why it works so well and consistently. Milk frothing seems very good too, and the temperature reading and cut-off, I find takes all the guesswork out, providing very consistent milk results. I made a cup last night that was one of my best so far - offered it to my wife, and her reaction was - "wow, that is probably the best cup of coffee I have ever tasted - I felt as if I was instantly transported to a coffee shop in Italy". Anyhow, joined this forum hoping to get some good tips on using this machine, and improving my latte art skills. Not affiliated with any coffee stuff or machine maker anywhere. By way of a quick intro, I live in California, am by no means a coffee expert (or really any kind of expert) but I knew there was better coffee out there. You know, that great cup after an amazing meal at a great restaurant… I wanted to start my day that way. 2) In making Caffe Americanos my lesson learned is to watch out for those ceramic cups. To ensure the fit of the portafilter and the hot water dispenser I had a tendency to push the cup as far back as possible but a ton of those ceramic cups have a bottom that will scratch up the finish which doesn't look that great on the O. You are fast becoming an expert with the help of the big O which is encouraging the beggars to queue for your AWESOME COFFEE. I agree with you about pod machines as I have not had a descent coffee out of one yet. As you will see on these pages, many CoffeeSnobs believe that the only worthwhile machines are those made in Italy. A lot would have not tried the upmarket Brevilles and only few would have used an Oracle. I use an early Bes900 Dual Boiler which has a lot of similarities to the Oracle. To be fair (and yes there are people as you describe) plenty of us just have different preferences regarding the tradeoff between available features, convenience, build quality and aesthetic appearance (regardless of country of origin). This is no criticism of the various Breville models (I've actually spent a fair bit of time helping a mate to learn to use his BES900). But it's easy to generalise about the reasons why some users prefer other machines, and those generalisation are....just that. As you will see on these pages, many CoffeeSnobs believe that the only worthwhile machines are those made in Italy. I'm one of the people you refer to Barry, my reason being my preference is for Italian design and style, nothing to do with function, although I'm sure you will be the first to agree that many Italian machines function very well and make great coffee. Have never used or had a coffee from or used a Bes900 or an Oracle so cant comment on their functionality, however I dislike the styling (very appliance like) and I'm old enough to recall Breville being the absolute bottom drawer as far as electrical goods were concerned, so I certainly have a bias there. I'm sure the quality has improved, though I still dislike the cosmetics. I agree with you both. Nothing wrong with Italian machines. During the development of their dual boiler machines including the Oracle, Breville looked the Italian machines over, including commercial machines and ended up with 2 pids, two boilers, electrically heated group head, over pressure valve, pre-infusion, a shot clock, pressure gauge, heat exchanger, Italian made pumps and valves and many more features not seen in many domestic machines. Aesthetics is a personal thing. We all have to choose a machine that gives us the results we want and that we are happy to have in our kitchen. I don’t have any shares in Breville but I am happy to use a Bes900. Thanks for the info Phil. I'm just wondering how much coffee is in the filter basket? I can't find the pictures you posted comparing the basket used in DBD and VST. I'm just wondering whether i can use the Cafetto Espresso clean to chemical back-flush the Oracle? Will replacing the basket with a blind filter during cleaning be problematic? Hi All. Another first timer. Should really get the conspiracy theorists going. I have no ties to Breville - other than the fact that I purchased a new Oracle here in Canberra Australia just before Christmas. We just did a major kitchen renovation and purchased Mielle equipment throughout and was going to get the Mielle automatic coffee machine. As an avid coffee freak, I have never been that keen on fully automatic machines. I like to control the grind, tamp pressure and pour rate and didn't want to spend $3500 on an automatic machine that didn't give me that control and to be honest, didn't produce that good a cup of coffee. So I was walking through Domayne before Christmas and they had just set up a new oracle. They were offering a free coffee so I tried it. They were using Vittoria Oro which is not that brilliant a coffee and so I was not expecting anything spectacular. What I did get was a very good coffee with good taste and okay crème. I know that Vittoria Oro can be a little dry so I ask whether I could try another coffee with a finer grind (from 30 down to 10). The result was very good and it produced a solid crème. I thought that if this machine can get a good solid coffee from Vittoria Oro then it should produce a great coffee with good quality beans. So being the impulse buyer that I am I ordered a machine. It was delivered two days later from Breville - I was the 21st sale in Australia based on my order number. I can not fault this machine. I buy Java Express, Café Super and ipanema gourmet Coffee Beans from "the Coffee Company" in Melbourne. Three good consistent beans. The Oracle delivers a very consistent coffee from all three. Very minimal difference in taste and all excellent crème and extraction. I do have to play around with the grind a little as the coffee beans get older or depending on the blend (Café Super is a little less moist that Java Express), and I have increased the tamp pressure a notch. But apart from that, This machine just continues to produced good solid coffee, with very consistent (less than 10% variation) taste, crème and volume. So is it worth $2499. I love my coffee, I love a good consistent pour, I like minimal mess and I like having control / but without the variability (tamp pressure, polich, pour rate etc. For that I am prepared to pay the money. Others who are not that particular about their daily caffeine intake will not get the value. So each to their own, it meets my needs and I cant fault it on taste and consistency. And yes I have owned quite a few machines, from Sunbeams, a gaggia, a delonghi, a Bosch and a rancilio. The Oracle, from my taste perspective is far superior to any I have had in the past. As to customer service, yes Breville called to see that it was delivered but I have heard nothing since, nor would I expect to. And no I don't have shares in Breville, or am being paid, nor do I work for the Coffee Company. I am just a simple bloke who is addicted to good coffee and have finally found a machine that meets my needs. And I no longer buy my two coffees in the morning as I am happy with what I get at home (it is better than what I was buying in terms of consistency). So assuming $8 a day and about 200 working days a year - I should have the oracle paid off in a little over three years. I don't know if I have helped anyone or added more fuel to a fire. But I always read these threads and never reply, but thought that my gratefulness and finding a decent machine at last deserved the extra effort of finally making a post. hoonhog, dlight and renegade81 like this. I welcome you to CoffeeSnobs as the happy owner of Oracle no 12. Thanks for your comments on the Oracle. Keep in touch and let us know how you go with your machine from now on. I have used an Oracle and I am the happy owner of one of the early BES900s. I see that Breville are aiming at those who may be looking at the automatics but want coffee as produced by a manual machine. Thats why Breville call the Oracle "the world’s first automatic manual espresso machine". Last edited by Barry_Duncan; 2nd February 2014 at 02:49 PM. gordons and Studel like this. I am thinking about the Oracle as an excellent substitute for the horrendous super-auto we have at the office. We are 30+ people. Only 3 of us are declared coffee snobs. I am worried about keeping the machine clean. How often is back flush recommended? Are there any straightforward or even automatic procedures? Thank you to Phil for the introduction. I’ve been following this thread & really enjoying reading these posts. Just to answer your questions, the basket fits 22g, +/- 2g. A clear water back-flush will be sufficient daily at the end of every coffee making session, but a once a week with a small amount of Cafetto Espresso clean won’t hurt. No problem either using a blind filter. A clear water back-flush will be sufficient daily. • Insert the cleaning disc into the filter basket then insert the portafilter into the group head. • Press the 2 CUP button and allow pressure to build for 20secs, then press to stop & release pressure. • Repeat this 5 times to purge any fine coffee grounds and residual coffee oils from the brew water paths. It is also recommended to keep the steam wand thoroughly clean, especially in a work environment with multiple users. Simply wipe wand clean after every use, use the pin tool to clear the holes if necessary & removing the steam tip & soaking the steam wand & tip in water overnight is also a good way to keep it clean & from blocking up. As for a deep clean, CLEAN ME! will be displayed on the LCD to indicate when a cleaning cycle is required (approx. 200 shots). Insert the supplied grey silicone cleaning disc, followed by 1 cleaning tablet into the filter basket. • Lock the portafilter into the group head. • Ensure the water tank is filled with cold water and the drip tray is empty. • Press the MENU button and rotate SELECT dial until 'CLEAN CYCLE' and 'PUSH' are displayed on the LCD. • Press the SELECT dial to start the cleaning cycle. • The LCD will display a countdown timer showing remaining time for the cleaning cycle in seconds. • When the cleaning cycle has finished, remove the portafilter and ensure the tablet has completely dissolved. If the tablet has not dissolved, repeat these steps, without inserting a new tablet. • Rinse the filter basket and portafilter thoroughly before use. • Extract an espresso to "season" the machine and purge the system of any remaining cleaner. So, I would like to share with you how Breville Canada unrolls a new Breville espresso machine. Firstly, it takes about a month or two after it arrives in the US to be made available in Canada. In talking with Breville Canada, I was advised that it may take an additional 6 months for the Oracle to make it to most parts of the country. Now, Breville.ca finally lists that machine as being available, but only at particular retailers in 3 out of 10 provinces in the country. OK, I understand that maybe inventory could be low. But, that isn't it. Because I am in a province (not a small one, it is Alberta) that does not have a roll out retailer on the accredited list, I am actually not allowed to order one over the phone or online from any of the aforementioned retailers. A call to Breville Canada customer service reveals that the reason is that Breville Canada wants everyone who purchases one to have mandatory training so as to limit the number of machines that are returned to stores. So, it does not matter if you have been using a Dual Bouiler for two years and playing with your grind size. Even more annoying is that our neighbours in the US are able to order online from Breville, but Canadians are not intelligent enough to order online unless they have mandatory training. I can only think that this has something to do with Justin Bieber's recent actions in the US. Seriously, though, I am a dentist that works with complicated medical equipment and procedures on a daily basis and Breville Canada wants to prevent me from purchasing their product? This is the most asinine policy and product roll out that I have ever seen and I begin to question if this is something that has been cleared by Breville in Australia. Sorry for the vent, I just can't reconcile the abject lack of thought that Breville Canada is putting into the Oracle's release. More likely is that you have better warranty protection in Canada as opposed to the US where there is no 'fit for purpose' laws and where if you want to challenge a company's warranty decision you have to do it in the state of their choosing. Where of course the warranty/legal system is most advantageous to the company rather than the customer. I've just watch the video Phil did for the Oracle, I'd have to say after having the BES900 for 2 years and never having a problem! I think my next purchase will be a lever though. 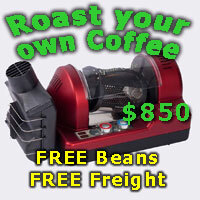 I sold my lever machine, a Quickmill Andreja Premium along with a very expensive grinder after purchasing a BES900XL. The Quickmill is a fine machine if you can put up with the inconvenience, noise, and mess, not to mention the counter room. I use a Vario grinder now, much quieter and adjustments are so simple and fine. I still find the lack of noise kinda bizarre. I mean, it is grinding beans after all. Because you've experienced the BES900, I can't possibly imagine you being pleased with one of Italian machines. In my view, they don't offer enough convenience to the end user. I feel they're several years out of date with technology. Closing thought! Ahhh, an E61 grouphead, full control, and then I'll be happy......I completely understand that bug. Good luck! I think SS was referring to a spring lever machine (Quickmill Achille is an example), not an e-61 machine. My god, that would be even worse! I'm sure you understand my point, once you've gotten used to the convenience of BES900, going to a manual Italian type of machine would be quite unusual. You would really have to be in love with the process for that kind of change to be successful. Many people are........but frankly, I just want great coffee and not have to acquire the skills of a barista to do it. I just love my BES900, it's not perfect but pretty close. You know what......I'm going to go make a cappucino right now! I read these and other reviews. I'm going to dive in and hope the investment pays off with great tasting art. I'm 33.. I'm not going to wait till I retire to have bliss in a cup I had a laugh. I'm going to write a review and place a YouTube video soon for others to judge. I'm a total amateur so if u see me make hearts and flower hearts with my café then I'm sure u can.. I say in a week I'll have it in my kitchen counter ready for action. Stay tuned amantes de café! Grind Retention re the Oracle? Just a question that has been intriguing me, & that is as to the grinder aspect of the Oracle. That is as to the perennial aspect of "retention of the grind". So how does the Oracle stand as to the amount of the "grind" that is retained as to not spoiling the next 'cup'? Hi NelsonDeCali - I look forward to your review. It goes without saying - use good quality coffee to get the most out of this machine, and enough crema to allow for those flower / hearts. Wondered how long it would take? We now have owners/potential owners of these appliances trumpeting the fact that their Chinese made choice is superior to our much loved Italian machines. I'm sure the Breville machines fill the bill for the instant gratification types, for true Coffee Snobs, not so much. JetBlack_Espresso and TC like this. Very poor form to make personal attacks. I'd bet that Yelta would in fact have a better idea than many. aaronpratt, Dimal, JetBlack_Espresso and 1 others like this. So true Chris, so true. As to ignorance is bliss, I believe that sums up the majority of BDB owners. The machine is capable of making nice coffee, but it is an appliance, and I doubt it has the longevity of an Italian machine. I know what it can and can't produce, as do many here, but they refrain from commenting, as the machine is a very good entrance point for many to enjoy a good brew. As to the post about a BDB being better than a lever, blissful ignorance at its pinnacle. Dimal, JetBlack_Espresso, TC and 2 others like this. No one likes their current ride being dissed I guess. And many have worked through a range of machines. I began on a sunbeam. In the end, it's horses for courses. I worked at a place with an plastic automatic Saeco. Reasonably exe machine. 2x single shots in milk with fresh beans (that I sourced) it made really nice coffee. Period. It did tend to go pop at 12 month intervals and have to go in for repair (in fact, it 'popped' during my farewell morning tea! Well, I was the one who cared for it. Knew what it was in for I guess!). It was easy. Clean. Made good milk coffee. Brilliant as a workplace machine. Would I want one for espresso? Probably not so much. Is my E61 large, intrusive, messy, fiddly, noisy, needs lots of TLC and practice to get sublime coffee? Absolutely But I'm that sort of person. I think the best idea is to sing the praises or work through the foibles of the machine you have (and they all have them! Read feedback on a Slayer OTT claims about absolute coffee truth just put people off side. I'd like to try an Oracle brew - in fact a brew from most things really! They're all different - all good fun. Dimal, JetBlack_Espresso, Barry O'Speedwagon and 7 others like this. It always brightens my day when I find I have made another person laugh Steve, means the day hasn't been a total waste. As to ignorance is bliss, I believe that sums up the majority of BDB owners. Blissful ignorance..... The 15 year old kid from the store selling these Chinese made appliances didn't tell me that a BDB would provide me with blissful ignorance! Wow, I may have even bought 2. He only said that it would make a caramel latte expresso just like $tarbuck$. I just can't get the ratio right between Moccona and blend 43. Maybe 5 sugars instead of 4? Still taste good though. For the future, which machine do I need to purchase to be able to make such arrogant and ridiculous generalisations? The Breville has a place in the market and I am considering replacing the shocker Saeco I have the pleasure of (not) using at a beach house I have access to with one. They want clean and don't care that much about what's in the cup. I'll be able to get something I am prepared to drink out of it. More likely than not though, I'll replace it with a SS machine and timed grinder in the knowledge that appliances go pop and then after a few years there is no parts support. Old broken machines get cannibalised for parts and then ultimately the whole lot ends up at the tip. Let's not forget that the Oracle is a $2k+ machine and there are plenty of high quality alternatives for a similar spend. The difference with quality HX machines is that they last and can be repaired: Grandpa's axe if you wish. As an example, how many 50 year old Faema e-61 machines are still operational? I'd sooner shell out on something which will last and I don't need pile of software and a 100 page manual to help me justify my spend. These appliances can and do make good coffee. Most purchasers would hopefully be informed and realistic enough to know that it's not for life. Divorce will occur and it will happen in 2,3,5 years- maybe a little more if you're really lucky. Not criticism- just fact. We each make our own choices for our own reasons. JetBlack_Espresso, MeanzBeanz, russellm and 5 others like this. Whichever one takes your fancy! But preferably, one similar to the machine in my avatar. I did not make any arrogant or ridiculous generalisations. The BDB is an appliance. FACT. It will not last as long as a SS machine. FACT. Many buy the machine and come to CS and rave how great it is. Have they owned, used or serviced any top end machine? No... but they act as if they have. They then proceed to make silly comments about how the BDB is so much better than machine A, B, or C. By doing so they tend to invite comments like the ones above. This then degenerates into the usual pile of poop. As I have stated, the BDB is a capable machine, and represents good value for money for those wanting a good cup of coffee. It should not be compared with SS machines as it is in a different class. Anyone stating it is superior to a SS machine should revisit this thread in 5-7 yrs time and see if their opinion is still the same. And I still stand behind my blissful comments earlier. Some of the best espresso I have had was made on a 1970's Rancilio lever. I doubt people will be restoring or repairing a BDB in thirty years time. MeanzBeanz, Vinitasse, Yelta and 1 others like this. 1 post or 12000 posts, we all have to start at 1. I keep reading these threads from the sideline but never join in, untill now. I thought this was coffee snobs, not machine snobs! There always seems to be the same people that cause threads to be derailed or argumentive when they really don't need to comment at all. 28 000 odd members, not everyone will like everyone, it's the size of a large town/small city. But quite often the ones who make the most noise are the ones who are the most insecure in their abilities, (not saying they are uncapable). "Sad to see this one degenerate into the usual p1$$1ng contest...again... "
This only became a p1$$1ng contest when a certain person that you always defend had to have his say in the thread when he has no association at all with it, he owns an Italian machine and has never apparently used or had any interest in a Breville or similar. and then there is this quote/defence "Very poor form to make personal attacks" , but in another thread (windows 8.1) we get this quote, "but you only have to read through their posts to realize these people are, a little different. " That seems very much a veiled personal attack to me, if you can give them out than you should be able to take them as well. But apparently not, seems that rule only applies to a select group. Like a workplace or trade, the ones who quietly go about their jobs and achieve the results are usually the ones to learn from, not the noisy arrogant in your face ones, same tends to go for business owners etc. This discussion could get very indepth and will probably get deleted, because we all know what happens when 2 certain people disagree with how a thread is not going their way, but hopefully not until a few people have read it first. And no, I don't have a Breville, but I have used them and they do a perfectly fine job. I just don't like that brushed chrome/steel look they have, if they had a different look it I probably would have one. The Lelit I have is more the look I like of the shiny steel, but either way, both machines do the job they need to. There is no need to get all defensive because you are upset that Breville owners are pleased with their purchase and have as much a right to talk about the COFFEE it makes, the same as the person who has an Italian machine that makes COFFEE can talk about it also. Banjo.au, okitoki, bxp and 1 others like this. We sold Breville early in the peace. Sadly their sales model allowed us to purchase at at a discounted retail price which was often less than our wholesale price. As a result, we had no choice other than to drop the brand. Had we been able to purchase at a price which was competitive with the biggies, I'd probably still have them on range. Some of our clients have now moved on to other machines further up the ladder. I have had a play with the Oracle and it works, but I don't think it's for me. I too look forward to Australian owners, especially those who have broader hands on experience of true espresso presenting their findings. Barry_Duncan and Barry O'Speedwagon like this. I previously wrote as quoted below, & only now managed to get back to the forum as to looking at any replies. In searching for my post it was a great disappointment to find that this thread has lowered itself to, (almost) the level as might be found on forums where for example the 'merits' of Canon/Nikon might be 'discussed', where unfortunately the posts can be full of blind bigotry & 'attacks' on any different points of view & can therefore quickly get 'off-subject'. Almost every post since my original question was as above, (& indeed another poster referred to "personal attacks"). I write not in any annoyance that my question has not been answered, (that is just a 'fact of life') but in expressing my disappointment & almost disgust that a forum such as this can manage to fall to such a low level & so quickly get "off-subject" to the point where any post can be seemingly 'lost' amongst very personal & "off-subject" 'opinions'. May I suggest a concerted effort to lift the tone, focus & actual quality of 'discussion' on the forum. Last edited by jhai; 20th February 2014 at 01:24 PM. I would suspect a handful of CS owners at best. Are you tasting the effects of retention? As such, any answers offered are more likely to be opinions rather than reality. Like most grinders, the Oracle has a throat that feeds the coffee from the burrs to the portafilter. We would always suggest purging the throat of grinds after every coffee making session as it will affect the taste of the next cup. The amount of coffee that is purged differs, depending on the type of coffee.